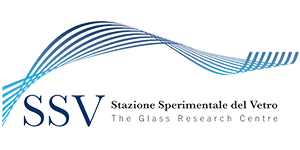 Every year Stazione Sperimentale del Vetro organizes several collective technical training courses and seminars, each one dedicated to a specific thematic area and destined to a precise audience of professionals. Some introductory courses are repeated annually, while others, typically seminars, are organized as a single event. The course is dedicated to technicians of glassmaking companies who are entering the glass sector for the first time, or who wish to consolidate their knowledge of glass both in terms of product and process. The topics will cover the correlations between properties/chemical composition/structure of glass; the processes of melting, refining and forming; an introduction to energy and environmental issues; the fundamental test methods and characterizations, etc. The course lasts 8 hours, is repeated annually, and each company producing glass on the Italian territory has the right to enroll two of its technicians free of charge; any further registrations are available at a small attendance fee. The course is scheduled on the 23rd of May 2019. The course is dedicated to the technicians of companies that use glass containers as primary packaging for their products, such as producers of beers, wines or oils, bottlers, pharmaceutical and cosmetic companies, etc., and is aimed at transferring to users the basic scientific and technical knowledge about the nature, properties, strengths and weaknesses of glass, so as to encourage a conscious use of containers and to facilitate the resolution of production problems related to glass packaging (eg. breakage, foaming, etc.). The topics will cover the correlations between chemical composition, forming technology and final properties of the glass, the basic test methods and characterizations, the identification and interpretation of defects, the mechanical properties of containers, the main industry regulations on contact with food or drugs, etc. The course lasts 8 hours, is repeated annually, and is available at a small attendance fee per person. The course is scheduled on the 16th of May 2019. To obtain more information on covered topics, annual planning and costs, and to stay up to date on all training courses offered by SSV, fill the form below and you will be included in the dedicated mailing list.